The Bible describes nine separate end time wars. In this “End Time Wars” series we have looked at the first six of these conflicts covering the time period just around the Rapture and into the middle of the upcoming 7-year Tribulation. The following two end time wars will take place throughout and at the end of the Tribulation, culminating in the Battle of Armageddon. Daniel 11:40-45 describes a military campaign of the Antichrist in the Middle East that occurs at the end of the Tribulation. These verses and related verses in Revelation could very well indicate that when the Antichrist becomes insanely obsessed with destroying the Jews and the Saints, the nations of the world will see an opportunity to rebel against him. The nations in the Middle East will be led by the “king of the North” (most likely Syria) and the “king of the South” (Egypt). The Antichrist responds by invading “the Beautiful Land” and subduing all the area except Jordan. But just as he seems to be completely victorious, he hears “rumors from the East and from the North” that deeply disturb him. 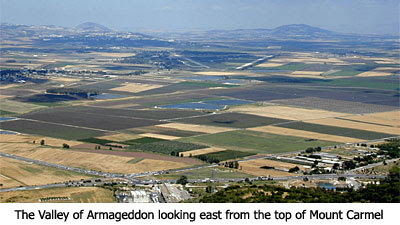 He retreats with his armies to the area “between the seas” where “he will come to his end.” The geographical description here of a location between the Mediterranean Sea and the Sea of Galilee corresponds to the Valley of Armageddon. I believe the rumors that frighten him are, in part, the news that “the kings from the East” (Revelation 16:12) who are bringing huge armies from Asia have arrived at the Euphrates River and are ready to cross into Israel to challenge him. The rumors from the North could relate to a reconstituted rebellious army from Russia. It appears that just as the armies from the East and the North start arriving in the Valley of Armageddon to challenge the Antichrist, the Lord breaks from the heavens, returns to the Mount of Olives, speaks a supernatural word, and all the armies are instantly destroyed. In other words, there really is no such thing as the “Battle of Armageddon.” The armies are assembled to do battle, but the Lord annihilates all of them in a microsecond “with the breath of His mouth” (2 Thessalonians 2:8). Joel 3:16 says the Lord will “roar from Zion” and “utter His voice from Jerusalem.” Isaiah 10:16 says the result will be “a wasting disease.” Zechariah 14:12 says it will be a plague that will cause the flesh of the soldiers “to rot while they stand on their feet.” Their eyes will rot in their sockets and their tongues will rot in their mouths. It will be like the explosion of a neutron bomb. In the sixth and final installment of this “End Time Wars” series, we will look at the very last war the Bible says will occur in human history. With this last war completed, the hope that war will finally cease on Earth will finally be realized. It could well be noted here that armies from all points of the compass, relative to Israel at the center, are mentioned with one glaring exception. The compass points of North, South and East, relative to the Beautiful Land (of Israel), are represented in these prophecies. This indicates that the Antichrist is based in the West, or Europe, and that areas further to the West such as North and South America which in military terms refers to the Antichrist's rear, are of no concern to him and are very probably those nations who remain in military alliance or within his Beast Empire. The conclusion is that the Beast Empire will be based in the West. maybe it is the old ancient babel figuratively rising from the abyss which god himself directly thwarted (by confusing they're languages) and god himself will also destroy again? has anyone seen the poster of the EU which depicts the tower of babel and has 12 inverted pentagrams on it? Dr. Reagan, I am pleasantly surprised by your article. What I would add to wars that "culminate at Armageddon", however, is also Gog/Magog (which may in fact encompass the Middle East campaign you referenced from Daniel 11). 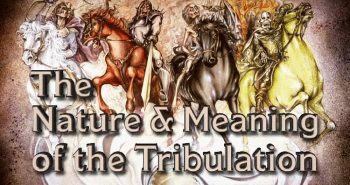 As you are well aware, the popular theory is that Gog/Magog begins before the 70th Week of Daniel, but I believe that we can ascertain from Scripture that Gog/Magog does not begin until the Abomination of Desolation, and I believe that this war will last for the duration of the Great Tribulation and culminate in the Battle of Armageddon. This makes much sense, considering that the prophet Ezekiel in chapters 40-45 then goes on to describes the Millennial Temple after just describing the Gog/Magog battle in chapters 38 and 39. One point I would like to make regarding Daniel 11:40-41. I believe that the king of the north in this passage is actually referring to Antichrist. "And at the time of the end shall the king of the south push at him [Antichrist]: and the king of the north [Antichrist] shall come against him [king of the south] like a whirlwind, with chariots, and with horsemen, and with many ships; and he [Antichrist] shall enter into the countries, and shall overflow and pass over. He [Antichrist] shall enter also into the glorious land, and many [countries] shall be overthrown: but these shall escape out of his hand, [even] Edom, and Moab, and the chief of the children of Ammon." Britt Gillette has an article over on the Rapture Ready website, stating, "Daniel Chapter 11 provides an in-depth examination of the history of the breakup Alexander’s empire, describing historical events relating to the King of the North and the King of the South. The latter part of the chapter describes the Antichrist, identifying him with other historical figures who have held the title 'King of the North.' This, along with the passage cited above, clearly links the Antichrist to the Northern Kingdom of the divided Greek Empire. This kingdom was ruled by one of Alexander’s generals, Seleucus, who ruled the areas of Syria, Mesopotamia, and Persia. 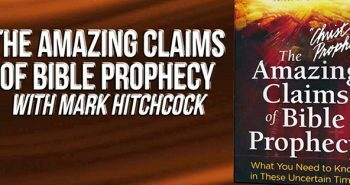 Therefore, it is reasonable to assume that the Antichrist will in some way be linked to this geographic area of the Middle East." "and tidings out of the north and east shall disturb him"
maybe this is scripture interpreting itself? I believe the AC comes from Turkey, and Israel is also south and east of Turkey. There is really no reason to assume that the AC comes from the EU (and in fact, every nation that the prophets specifically name as being destroyed by Christ when He returns is today an Islamic nation. Not once do they mention a European nation or city). The only reason why some have assumed that the AC would come from Europe is because of Daniel 9:26. The assumption is that it was a Roman army who destroyed the city and the sanctuary in 70 AD, therefore the AC is from Europe. In my view, however, "the people of the prince to come" (Dan 9:26) who destroyed the city and the sanctuary in 70 AD may have been considered "Roman" soldiers (merely because they were under the command of Rome, supposedly — read "Josephus, Wars of the Jews", Book 6 Chapter 4) BUT by that time the legions responsible for the destruction of 70 AD were comprised almost exclusively of eastern peoples from Syria, Asia Minor (Turkey) and that general area (The Wars of The Jews, History of the Destruction of Jerusalem By Flavius Josephus, Trans. William Whiston BOOK V: Chapter 13; and Soldiers, Cities, and Civilians in Roman Syria by Nigel Pollard, Ph.D, p. 115). Moreover, the Bible also calls Antichrist "the Assyrian" many times (for example, Zech 10:10-12, Isaiah 30:30-31, Micah 5:2-6, Isaiah 10:12-13 cf Dan 7:20, Isaiah 14:24-25). Therefore, due to this fact and also that the AC is called the "King of the North" in Daniel, I believe that he is from Turkey, or that general area. "The Roman army that destroyed the Temple is 70 AD were those of the Legio X Fretensis, Legio V Macedonica and Legio XV Apollinaris, under the command of Roman General Titus Vespasianus. The soldiers of Legio X were Italians from the region of the Straits of Messina; Legio XV from the mixed Illyrian-Celtic people of the region of Pannonia along the Danube River, and Legio V were of the Thraco-Illyrian people in the region of the lower Danube formerly known as Moesia. In sum, the 'people of the prince' were Europeans and Roman citizens." Hi Nathan, the historical weight of evidence disagrees with Eschatology Today's research, and it appears to have been slanted by leaving out important key details. Prior to the turn of the 1st Century the majority of the men who served in the Roman armies were Italians. That is true. But as the Roman empire grew it became virtually impossible for the Roman empire to be manned with only Italian soldiers, so Emperor Augustus was forced to change the "ethnic demographic" of men who made up the Roman armies. After the reforms were completed early in the 1st Century just a small part of the Roman army consisted of only Italian men, and this was the Praetorian Guard. The rest of the army was expanding to be increasingly made up of citizens who were from the outer provinces far away from Rome. By the time Jerusalem and the temple were destroyed in 70 AD, the legions responsible for the destruction were dominated by these provincial soldiers (Arabs, Egyptians, Syrians, etc.) This is confirmed by Tacitus, Josephus and numerous scholars and historians. "And now a certain person came running to Titus, and told him of this fire … whereupon he rose up in great haste, and, as he was, ran to the holy house, in order to have a stop put to the fire; after him followed all his commanders, and after them followed the several legions, in great astonishment; so there was a great clamor and tumult raised, as was natural upon the disorderly motion of so great an army. Then did Caesar, both by calling to the soldiers that were fighting, with a loud voice, and by giving a signal to them with his right hand, order them to quench the fire." (Josephus War of the Jews, Book 6, Chapter 4). The soldiers were hell bent on destroying the sanctuary, despite Caesar's orders to put out the fire. But they hated the Jews. And as Josephus later writes, "And thus was the holy house burnt down, without Caesar's approbation." i see what you mean, but it says the PEOPLE(under the rule), of the prince, not the prince himself. "the lie of those who claim to be jews but are not"
"The Temple was intentionally set in fire. The Jewish historian Flavius Josephus writes in his Jewish War 6.220-270 that the Roman soldiers took the initiative, but this is not true. A fourth-century writer, Sulpicius Severus, states that Titus ordered the destruction of the sanctuary, and this piece of information almost certainly stems from the Roman historian Tacitus, (Histories, fr.2). It is more probable that Flavius Josephus invented his story to absolve his friend Titus from the responsibility of this war crime, than that Tacitus was slandering." glen walling said, "i see what you mean, but it says the PEOPLE(under the rule), of the prince, not the prince himself." Dan 9:26, "And after threescore and two weeks shall Messiah be cut off, but not for himself: and the people of the prince that shall come shall destroy the city and the sanctuary; and the end thereof [shall be] with a flood, and unto the end of the war desolations are determined." What we have here is a specific reference to the prince that shall come in the eschaton, and everyone here would agree that this is a reference to Antichrist. Daniel gives us a clue regarding from among whom the "prince that shall come" would be identified with, and it was to be with the people who would destroy the city and the sanctuary. He identifies Antichrist and the people who destroyed the city and the sanctuary through ethnicity. There is a reason why not one single translation renders the Hebrew "am" (H5971) to mean "nation." So it matters not if they were considered Roman soldiers (even the Apostle Paul called himself Roman, yet he was ethnically a Jew). So, there is nothing in the verse to identify the prince to come with Europe at all, and history bears witness to the fact that the people who destroyed the city and the sanctuary were almost exclusively Arab/Egyptian/Syrian/Asia Minorian, etc. and from that general area. glen walling said, "i believe the AC could well have a middle eastern heritage, as well as european and would also falsley claim to be descended from the line of king david in order to deceive the jews"
Whether the AC has any link to Europe or not, we do not know because the text doesn't say anything about that at all, and there is zero reason for us to assume it. All that we can gleam from the text is that he is identified ethnically with the members of his people that would destroy the city and the sanctuary, and we know that the armies that did this were not made up of Italian men from Rome. glen walling, "so basicallly what i'm saying is that the AC will be of mixed heritage (euro and middle eastern), but will rise from europe, and will falsely claim jewish lineage too, to receive the worship of unfaithful jews only pure of heart jews who receive jesus will oppose this claim"
In order to say that we have to show that such an idea can be taken from the text. But, nowhere does Scripture suggest that he will rise from Europe, and that he will claim Jewish lineage, and that he will receive worship from the Jews. We don't read any of this anywhere in Scripture. That interpretation is added. Nathan Jones said, "As a Benedict Arnold to the Jews, Josephus' account of the destruction of Jerusalem is highly questionable. The modern Roman historian Jona Lendering says this about Josephus' account on whether Titus actually ordered the destruction of the Temple"
Hi Nathan. Not only do many scholars and historians concur with Josephus' account, even if what Lendering claims is true, it still does not change the fact that the people responsible for destroying the city and the sanctuary were Middle Eastern. Lendering's claim is pure conjecture, guesswork based on a writing by Sulpicius Severus centuries later(!). Lendering even admits that the information "almost certainly" stems from the Roman historian Tacitus (thus admitting to presumption) and that it is "probable" that the account given by Josephus is inaccurate. In other words, Jona Lendering has no way of knowing in his own mind whether or not Josephus' account is true. At the end of the day, however, it makes little difference because the historical weight of evidence confirms for us what peoples destroyed the city and the sanctuary, and they were not Italian. Pure supposition that the legions weren't Italian, Mitchell. History shows where they were stationed and where they originally hailed from, but not their ethnic makeup. Some people (like Joel Richardson) who base their entire writings on the conjecture of the legion's ethnic makeup build their Eastern Antichrist origin theories on such sand. I'll base my Roman origin of the Antichrist theory on the fact that the the command and the commanders from the top were of Italian birth. Hi Nathan, it is not pure supposition, it is an historical reality. Even if the command and the commanders from the top were Italian, history lets us know who were the people that destroyed the city and the sanctuary. Of course we can fall on which ever side of the debate we decide, but if you will base the Roman origin Antichrist theory on the fact that any command from the top were Italian, do you also therefore conclude that the Antichrist must be Italian only? Naturally, Mitchell. Because Caesar, Titus, the commanders and the legions all originally hailed from Italy – they all come from the Western leg. I'd be immensely surprised if the Antichrist didn't hail from Rome itself. Now, Legio XII Fulminata may have been stationed in Syria, but where in the history books does it say the legion was populated by ethnic Syrians? American forces stationed in Afghanistan are not made up of Afghanis, are they? Really, the Eastern Antichrist theory has the very thinnest of suppositions to base itself on. Nathan asks, "…where in the history books does it say the legion was populated by ethnic Syrians?" From Tacitus in The History New Ed edition Book 5.1 Editor: Moses Hadas (Translated by Alfred Church and William Brodribb; Modern Library, 2003 NY) – "Titus Caesar … found in Judaea three legions, the 5th, the 10th, and the 15th .. To these he added the 12th from Syria, and some men belonging to the 18th and 3rd, whom he had withdrawn from Alexandria. This force was accompanied … by a strong contingent of Arabs, who hated the Jews with the usual hatred of neighbors …"
From Josephus in The Complete Works of Josephus, The Wars Of The Jews Or The History Of The Destruction Of Jerusalem (Book III, Chapter 1) – "So Vespasian sent his son Titus [who], came by land into Syria, where he gathered together the Roman forces, with a considerable number of auxiliaries from the kings in that neighborhood." In the next chapter Josephus writes, "Malchus also, the king of Arabia, sent a thousand horsemen, besides five thousand footmen, the greatest part of which were archers; so that the whole army, including the auxiliaries sent by the kings, as well horsemen and footmen, when all were united together, amounted to sixty thousand." Virtually all Roman scholars concur that the overwhelming majority of soldiers would have been Eastern provincial conscripts by the time Jerusalem and the temple were destroyed in 70 AD. Nathan asks, "American forces stationed in Afghanistan are not made up of Afghanis, are they?" Not a real comparison really. The Afghans are not considered American citizens, and the American soldiers are from America, not the Middle East. The legions responsible for the destruction of Jerusalem and the temple were considered Roman citizens, and the soldiers were from the eastern provinces. Nathan says, "the Eastern Antichrist theory has the very thinnest of suppositions to base itself on." We'll have to agree to disagree bro. Even Clarence Larkin disagreed with the Roman theory, and through Scripture recognized why Antichrist cannot come from Europe, writing, "The 'King of the North' was the King of Syria, and his character and conduct is described (Dan. 11:36-39) as similar to that of the 'Little Horn' that came out of one of the 'Four Horns' it is clear that the Antichrist is to come from Syria. That the 'King of the North' spoken of in Dan. 11:21-31 was Antiochus Epiphanes there can be no doubt, but that he was not the 'Little Horn,' or the Antichrist, who is to come out of Syria in the 'latter days' is clear from the remainder of the chapter from the 35th verse, which describes the conduct of the future Antichrist. The intervening verse, the 32nd to the 35th inclusive fill in the gap between the time of Antiochus Epiphanes and the appearance of the Antichrist. There is no intimation that Antiochus Epiphanes is even to be regarded as a 'type' of Antichrist. They are distinct historical personages, each dealt with in his own place, and though they resemble each other in some respects, yet they must not be confounded with each other. The term 'North' and 'South' are applied to Syria and Egypt because of their geographic relation to Palestine (the Pleasant of Glorious land. Dan. 8:9, 11:16, 41). In the thought of Jehovah, Jerusalem is at once the geographic and moral centre of the earth. We are to understand therefore by the 'King of the North' the King of Syria, which also included Assyria. This fixes the locality from which the Antichrist shall come…". (Dispensational Truth Or God's Plan and Purpose in the Ages – Clarence Larkin, p. 118). If Clarence Larkin were alive today he would in all likelihood be among those who believed Antichrist would arise out of Islam. Joseph Chambers concurs, writing, "There is no other geographical area on planet Earth where the Antichrist could appear but the Middle East. Those who continue to look only toward the European Common Market as the primary movement toward the Antichrist will soon be disappointed… To look for Satan' s final activities in any other area than the Middle East is to look in vain and in error. The Scriptures has left no doubt that this beast of a man will from Assyrian nationality. Three times Isaiah called him by this name. The Islam or Moslem religion provides an excellent covering for the rise of the Antichrist." (A Palace for the Antichrist, News Leaf Press, 1996, pages 136-142). Scripture calls Antichrist "the Assyrian" numerous times throughout the OT, which would hardly be accurate if he were to come from Rome imho. Nathan says, "But hey, Man, since you're Post-Trib, after the Antichrist is revealed find out for me what his ethnicity is and let me know when you catch up with the rest of us in Heaven, alright." Ah, lol. Well, I believe we'll both be around for about 3.5 years after he's revealed. Like Paul said, before our gathering on the Day of the Lord (which is immediately after the tribulation), first must come the apostasy, and the revealing of that dude (2 Thess 2:3). Hey Nathan, not sure if you watched this video yet, but it's worth it. Chilling stuff. Islam: What The West Needs To Know (Full Length English Version, 98 mins).